Size: Up to 12 feet, usually much shorter. Growth Form: Shrub, tree; stems bark gray; branching ascending, stiff, twigs glabrous to densely hairy, terminal bud scales. Leaves: Green; evergreen; petioles present; leaf shape variable ovate to round, margins spiny; leaf surfaces glabrous or hairy; lower leaf blade (abaxial) concave, veins not prominent. Flower Color: Yellow; flowers solitary or in cluster of 1-6; flowers with pedicels; 4 sepals, petals 0; style exserted; fruit bright red, globose. 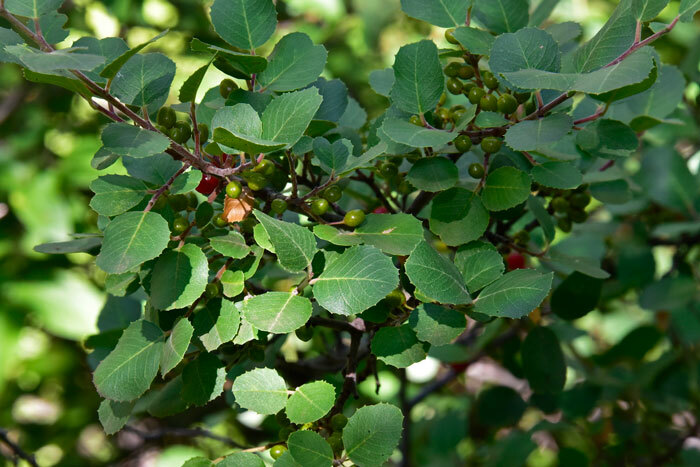 Recorded Range: Rhamnus ilicifolia is found in the southwest and western United States in AZ, CA, NV, OR. In Arizona it is found throughout the state with few or no records in the northeast (Apache and Navajo counties), southwest (Yuma and LaPaz counties) and Cochise county. It is also native to Baja California. North America & US County Distribution Map for Rhamnus ilicifolia. 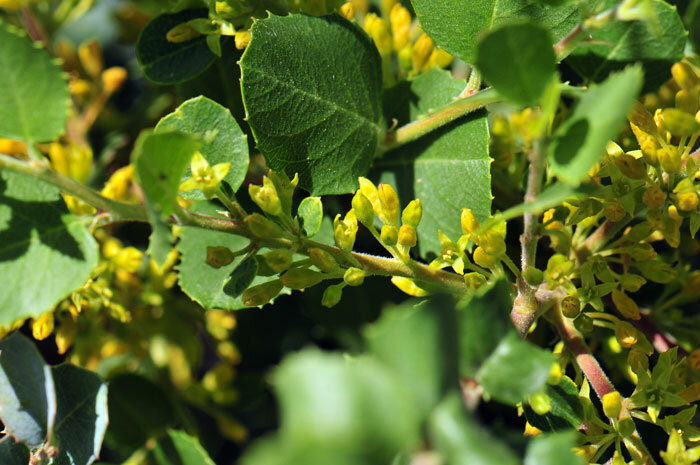 Invasive/Noxious Weed Information:In North America Rhamnus ilicifolia is listed as a Noxious Weed by the state of Iowa; The Iowa weed law (2003). Iowa Department of Agriculture & land Stewardship; all members of the genus Rhamnus, (except R. frangula) considered a Primary noxious weed. Plants included here are invasive or noxious. Genus Information: In North America there are 19 species and 28 accepted taxa overall for Rhamnus. 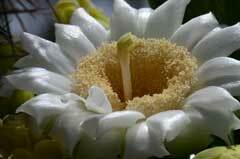 World wide, The Plant List includes 113 accepted species names with 71 scientific plant names of infraspecific rank. 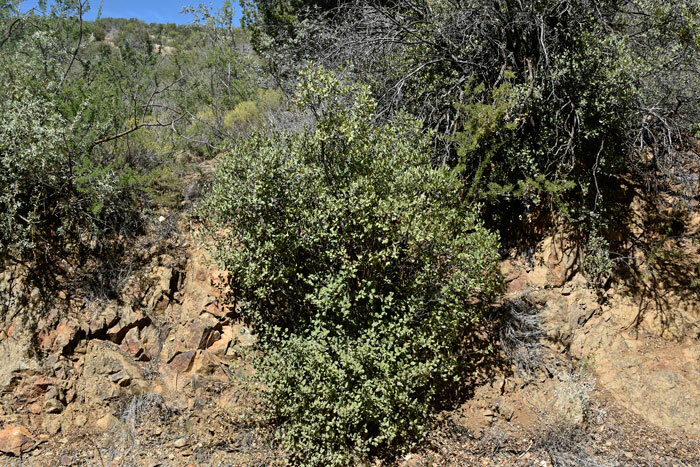 Arizona, New Mexico, Texas and Utah each have 2 species of Rhamnus, California has 5 species, Nevada has 1 species. All data is approximate and subject to taxonomic changes. 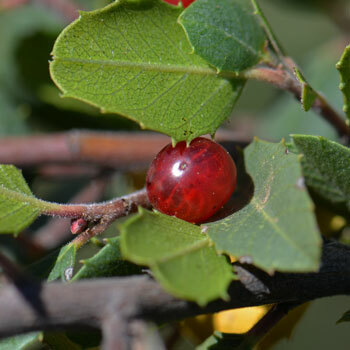 Comments: Rhamnus ilicifolia is very similar to Redberry Buckthorn, Rhamnus crocea. 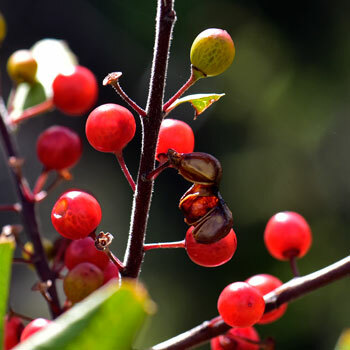 Rhamnus ilicifolia has been used for a variety of applications by North American indigenous peoples. Kawaiisu Drug, Analgesic, Decoction of roots and bark taken for internal soreness. Kawaiisu Drug, Liver Aid, Plant used for the liver and spleen. Wintoon Other, Lighting, Wood used for torches because it burned a long time. The Plant List (2013). Version 1.1. Published on the Internet; http://www.theplantlist.org/ (accessed 06/27/2016).